Aerial view of the Margaret Hunt Hill Bridge in Dallas. 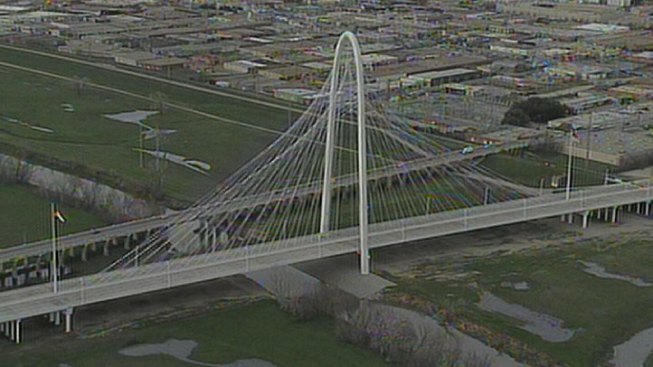 Drivers in Dallas will have to wait just a little longer to cross the Margaret Hunt Hill Bridge. Construction delays will mean traffic cannot start crossing the bridge until March 29, 2012. A public opening scheduled for March 4 was supposed to be the kick-off event for the public to use the Santiago Calatrava-designed bridge that has been under construction since 2007. That event will continue as planned. Dallas and Texas Department of Transportation officials said the delay in opening the bridge to traffic would help them complete ramps and signals for the bridge. 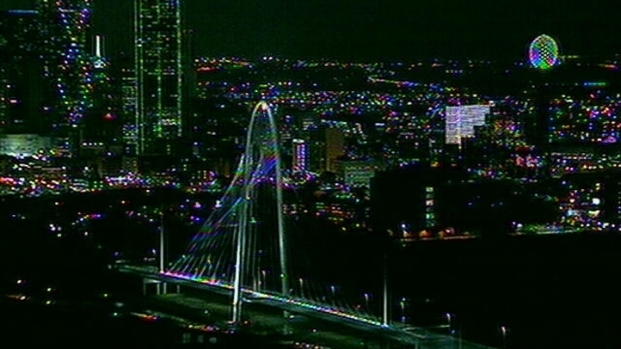 It took awhile but the lights on the Margaret Hunt Hill signature bridge in Dallas came on Tuesday evening.